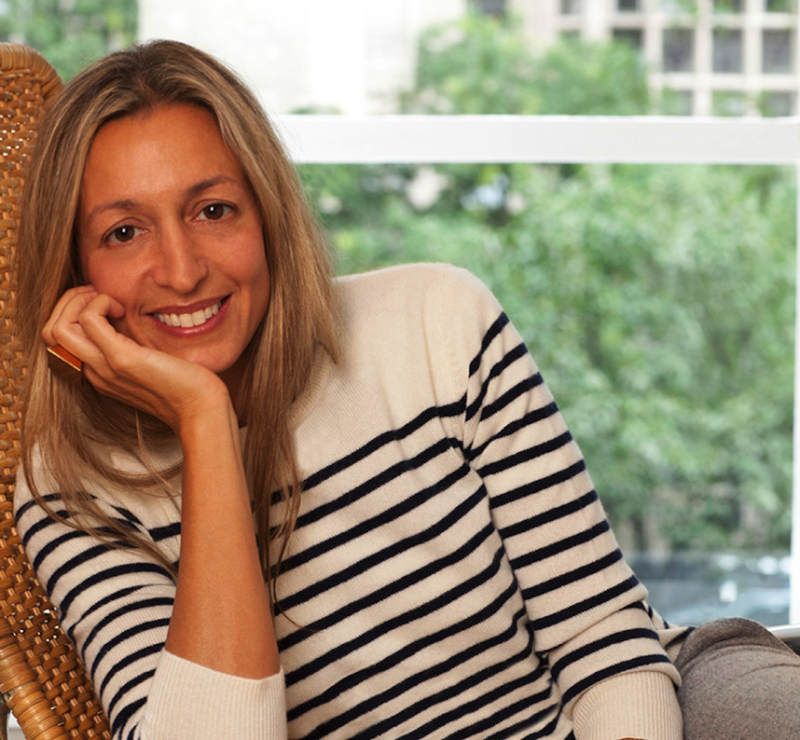 Nikki Kule has been in the fashion design world for most of her life, for the past decade or so though, she's been focused on children's clothing—first with her own label and then kid's clothing for Brooks Brothers. Lucky for us, just last month Nikki Kule launched another eponymous clothing line, this time for adults. Yes! Kule is a label based on luxury and classics; modern preppy pieces that make sense and are built to last both materially and in fashion. 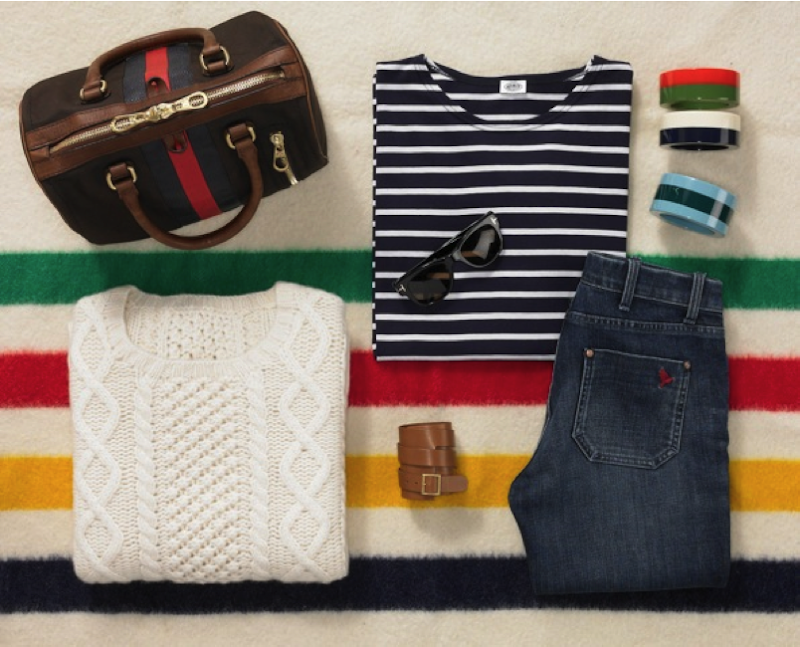 That cashmere Breton striped sweater is calling my name! Nikki's been so great to offer Tomboy Style readers a 15% off discount this week on Kule.com with the promo code TOMBOYSTYLE. If not in New York City, I would live in...Rome. My current obsessions are...tennis—playing the game and obsessing over vintage Fila and Ellesse. And the strawberry rhubarb jam from Blue Hill at Stone Barns which my friend Megan gave me. I love it on a slice of toasted bread with fresh ricotta cheese, and shopping at Ludivine (I love her Parisian style). The fictional character I most relate to is...Private Judy Benjamin. If I had to be outdoors all day I would...be at the beach in Fire Island. My favorite quality in a man is...quiet confidence. My favorite quality in a woman is...quiet confidence. My dream car is...a vintage Hunter Green Jaguar XJ6 with luggage leather interior. My cocktail of choice is...the Miki (Campari and fresh grapefruit juice)...so Italian. My celebrity crush is...Javier Bardem. My beauty product of choice is...Shiseido. I don't have a favorite. I love all of it. If I could go back in time for one decade it would be...the 70’s. As a teenager I was totally into...Lacoste, Benetton, Merona and Brooks Brothers. I tend to splurge on...striped shirts. My no nonsense staples (white shirt, grey flannel pants, and camel coat sometimes paired with a stripe tee)...are what make me have Tomboy Style. I love that her favourite qualities in men and women is the same. I think I too need that cashmere Breton striped sweater. Great interview. In addition to wanting to splurge on a Breton sweater, I now have a craving to drink campari with grapefruit juice. Thanks for writing about Kule! LOVE the line. I'm definitely going to do some online shopping with that discount code. can you please tell me where i can find the bag that is featured with Kule? Nikki told me the bag was Black Fleece that she was selling through her store but that they were just recalled last week due to trademark issues with Gucci. Come on. Really? 695 dollars for a sweater? really? NOT KULE.